ALINA is our first private spacecraft, built to transport and land our two Audi lunar quattro rovers safely on the Moon. ALINA is designed to be compatible with all major commercial launch vehicles (including SpaceX’s Falcon 9, and ISRO’s PSLV), allowing invaluable flexibility when contracting a launch. This means that customers can choose their launch vehicle based on price and availability, rather than being restricted by type. Once inserted into an Earth-orbit, ALINA will use its own propulsion to transport the craft 380,000 km to the Moon, and into lunar orbit. 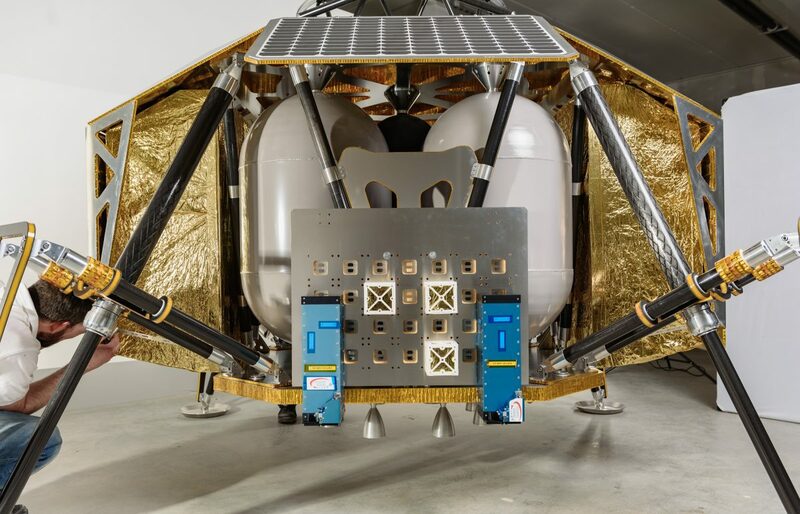 Payload racks on either side of the ALINA vehicle can be used to house orbital payload (if a lunar landing is not required), and ALINA can also dispatch CubeSats into lunar orbit. From lunar orbit, ALINA will perform an accurate soft-landing on the Moon at a designated landing site. 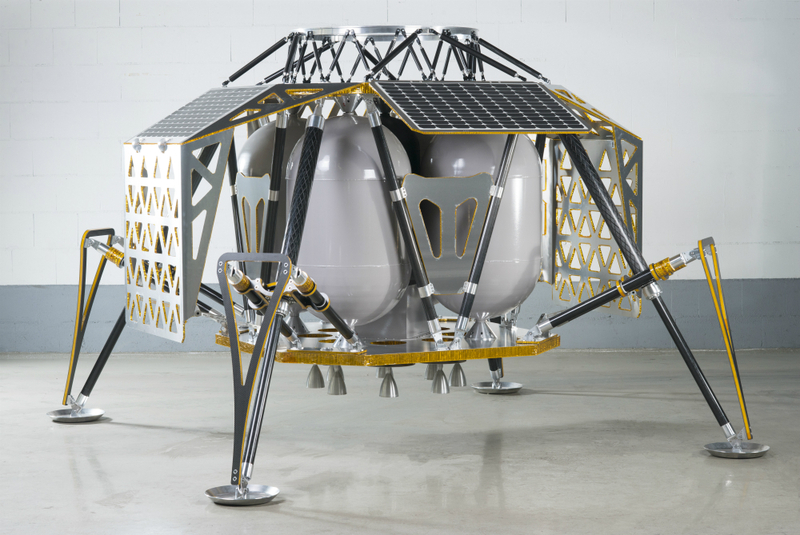 With each flight, ALINA can deliver up to 100 kg to the surface of the Moon. For Mission to the Moon this includes carrying two Audi lunar quattro rovers. 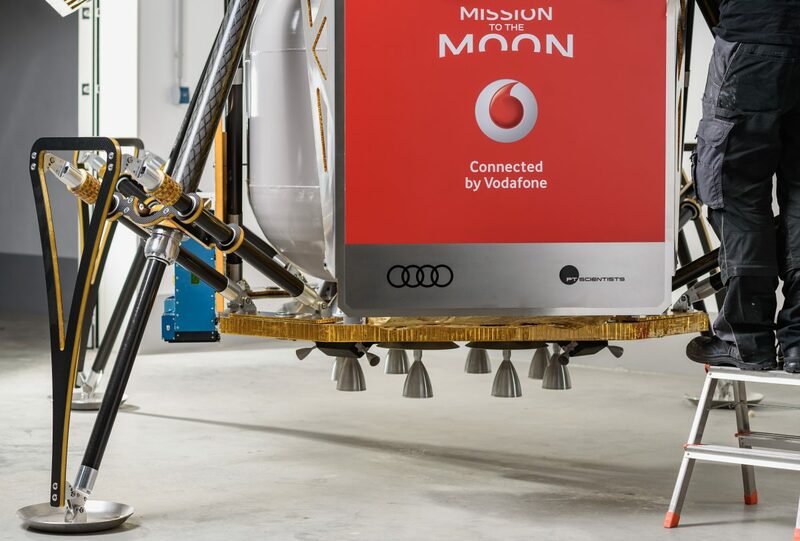 ALINA is not only a lunar transport and landing vehicle, but thanks to a technology partnership with Vodafone Germany, it will also become the first LTE base-station on the Moon. This will enable the rovers to send live video and other data to ALINA and then back to Earth, and means that ALINA can be used as a navigational beacon and provide the start of a communications infrastructure for future lunar missions. One aspect of Mission to the Moon is to demonstrate that commercial-off-the-shelf parts can be utilised on the Moon to bring down mission costs. 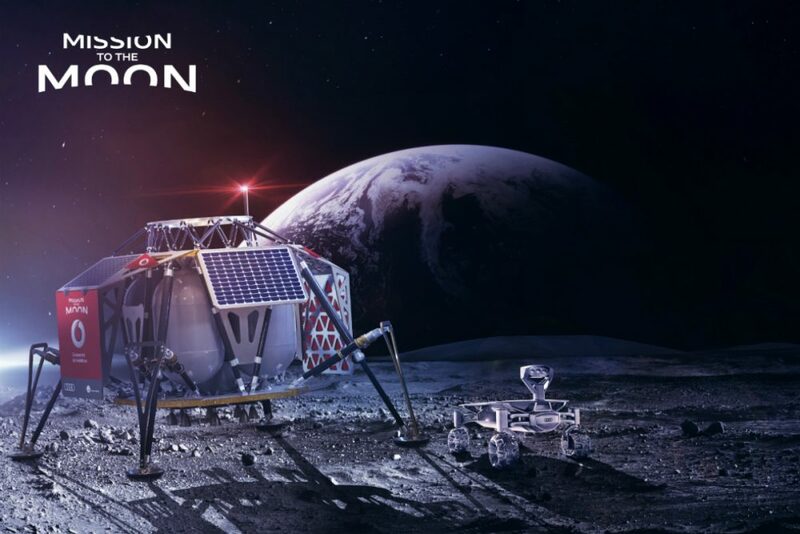 Contact our sales team at sales@ptscientists.com to find out more about licensing ALINA or securing a payload space on Mission to the Moon.